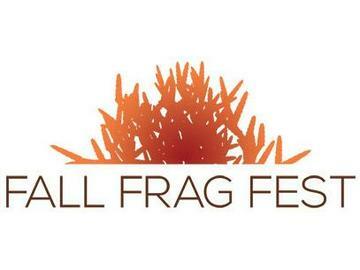 The Mid-Atlantic Marine Aquarium Society (MAMAS) would like to invite you to the 2013 Fall Frag Fest located in Virginia Beach, VA on October 19, 2013 from 10:30am-5:30pm. The Fall Frag Fest is an opportunity for reef aquarists in the mid-atlantic region to come together for a day of shopping, education, conversation, contests and family fun. With over a dozen vendors from across the eastern seaboard, 2 renowned industry experts speaking and booth decoration and costume contest throughout the day, we have something for everyone. Tickets are just $5 and kids 12 and under are free. Get $10 VIP tickets for early access to vendors 1hr before general admission as well as an exclusive 1.026 MAMAS sticker. Tickets do not guarantee a seat during presentations, just admission. The Fall Frag Fest will host over a dozen vendors, including large scale, renowned aquarists to the garage hobbyist, local fish stores, as well as companies of all sizes. Throughout the day we will have 2 educational sessions by Dr. Mac from PEA and Steve Tyree of Reef Farmers. We will be hosting several contest throughout the day starting with a best vendor booth decoration contest. Attendees can vote for their favorite booth and the winner will get their booth fee for free. Winner swill be announced at the close of the festival. We will also be hosting a costume contest for the kid 12 and under. Our vendors will vote for their favorite costume of the days. We'll also have candy to giveaway as well as contests and giveaways. The OSIA of Tidewater is located just south of Lynnhaven Mall at 3097 Magic Hollow Blvd, Virginia Beach, VA, 23456. Attendees coming from just about everywhere will find it easiest to take 264 east and get off at the Lynnhaven Parkway South 19A exit. Magic Hallow will be just under 3 miles away. Take a left at the light. Free parking is available on a first come, first serve basis. Several restaurants are located within a 2 mile radius of the facility for lunch and breaks. Please contact our staff for more details at info@mid-atlanticmas.com.